From the October issue of DOM magazine, shot by Du Borsatto. The issue is already on newstands across the country. 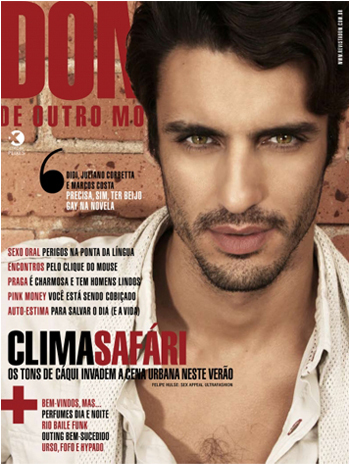 Model Felipe Hulse graces the cover of the October issue of DOM magazine, photographed by Du Borsatto. I am really not crazy about the cover, but it was hard to top the last one with David Jensen. The issue hits newstands in São Paulo and Rio on Friday.